The Daily Dose Cafe Wedding Venues is a Downtown Los Angeles, arts District Community Owned Coffee Shop located in the middle of a vine covered BRIK Alley. We cook fresh food daily sourced from local and Organic farms. 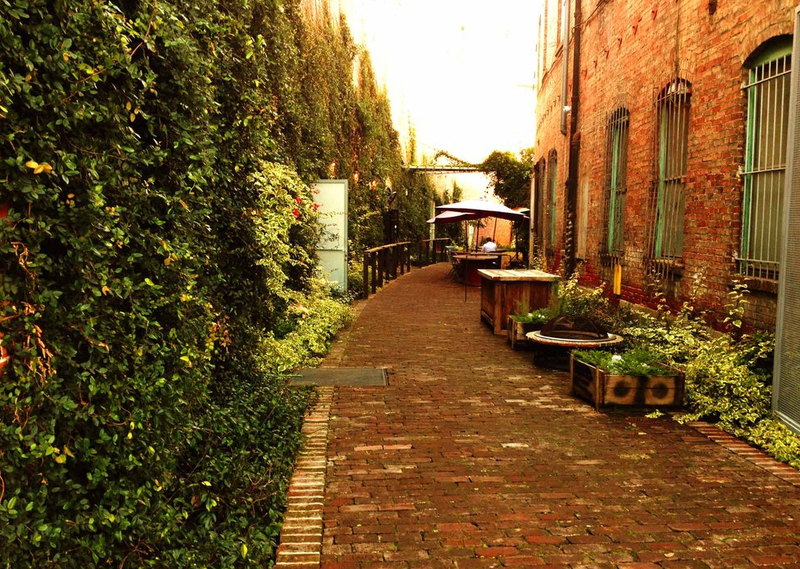 The simple charm of The Alley at The Daily Dose Cafe Wedding Venues in the Arts Dstrict of DTLA makes a good site to celebrate your wedding day. Dose Noir serves colorful food from local and certified organic vendors. This ensures that your wedding will be filled with food that delights the senses, looks delicious, and fuels your guests well into the evening. Dose Noir provides your wedding with an atmosphere that is warm and inviting. You can celebrate your evening in the garden alley, and reception in the indoor heated gallery. This sweet whimsical space features brick walls covered in lush green vines and fairy lights. The addition of a few simple floral centerpieces will help customize this space for your evening. The Alley is an effortless wedding site with a rustic yet cool atmosphere. The flower covered vines surrounding you, and garden scene when paired with stellar food ensure an evening of fun that leaves each one of your guests satisfied. The alley at night is a wonderful space to dance under the lights in style. Thank you so much for choosing us. Best regards Team Daily Dose in The Alley.